Let us launch Your Total OTT Service today! A fully managed service with everything you need to publish and socialize your live channels from a live source. A fully managed service with everything you need to publish and socialize a live channel from your stored and live sources. 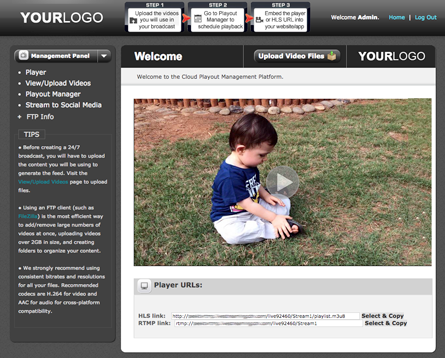 A fully managed service with everything you need to publish and monetize all of your live and VOD channels. All apps are included. Unlimited platform and app maintenance. LiveStreamingCDN offers free remote encoder configuration via Teamviewer. LiveStreamingCDN provides multi-platform compatible player embed code integration with automatic device detection algorithm. Dynamic streaming with no bit rate limitations. Stream at the highest quality that your uplink connection supports. 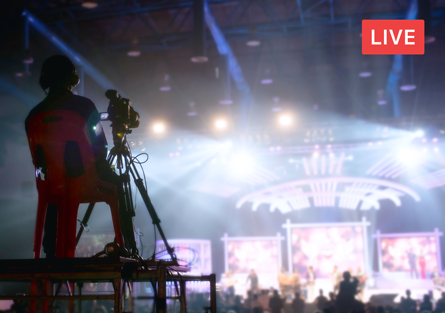 Streaming platforms support HTTP Live Streaming (HLS), Smooth Streaming, RTMP (Flash), RTSP, UDP/RTP Relay Streaming. Geo-blocking. Additional charges apply depends on the plan. HD quality. Broadcast in H.264/AAC for the best possible quality and compatibility.